Usually water the many houseplants on Friday, but was busy and got off schedule. 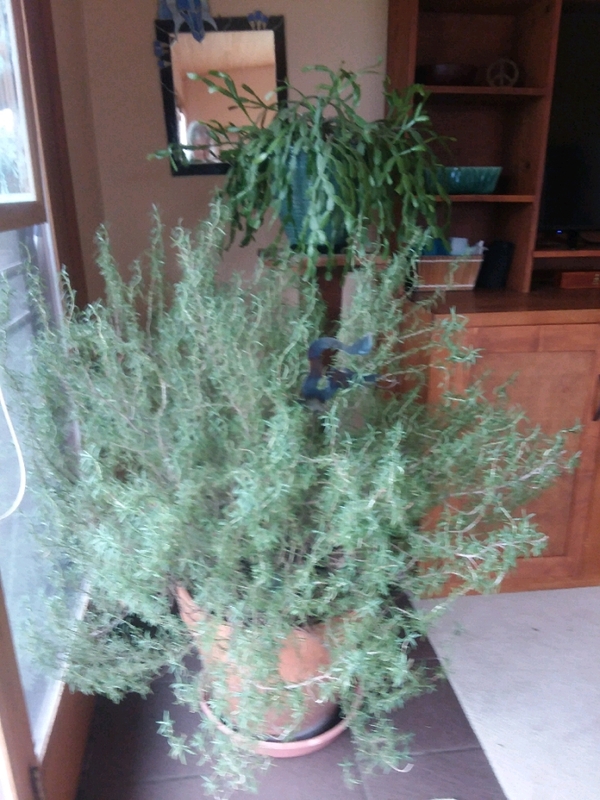 The rosemary suffers most as she is root bound. She got a drink last night, but everything else was forced to wait till today. 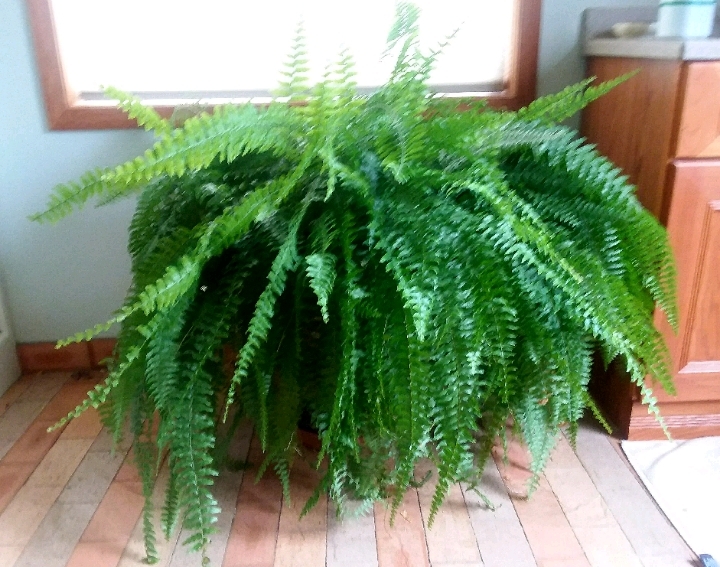 The very old Boston fern has grown so large that getting into the shower has become a challenge. It is so happy in that spot and there is really no where else to put it so we'll just have accept it. Ferns are such messy plants, always dropping bits of leaves, and it is a favorite hiding place for the cats which makes that worse. Yet It's beauty is unquestionable and I get attached to plants so it stays. We no longer drag it outside in the summer, but it doesn't seem to mind. The succulents are getting leggy and soon I hope to get them back outside where they are always happier. 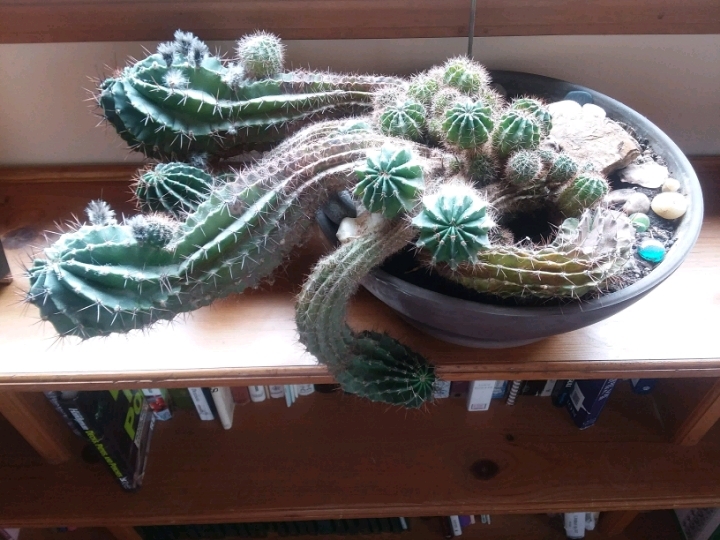 The oldest cactus has a number of buds and it would be grand if it bloomed this year. Poor things they suffered last year from the digging of squirrels who tossed them out of their pots, looking for nuts? And, totally off the subject, yesterday marked the first asparagus cutting, not a lot, but more stalks appearing daily. I love the stuff. Kids coming over to grill steaks later, something to look forward to and the first ones we've tried from this side of beef. We've been very pleased with other cuts, but steak is the ultimate test, t-bones today. So grateful to have a young farmer with organic grass fed beef nearby.